The Spring and Summer months have been very productive here at the farm. 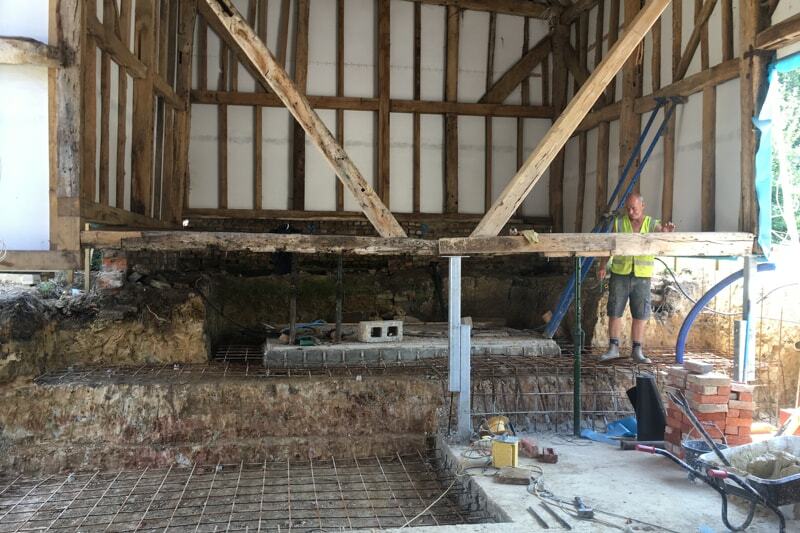 The Byre is a few of weeks from completion and we reached a milestone yesterday which marked the end of foundation work to The Oak Barn. 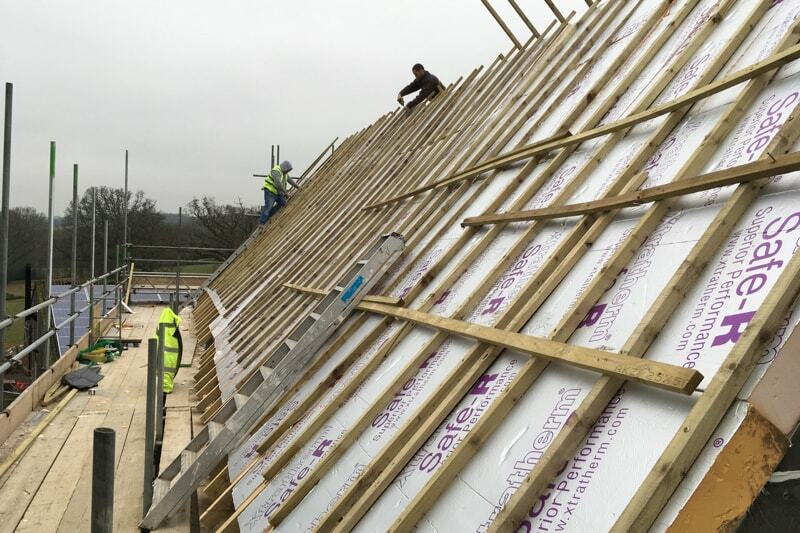 The schedule is only slightly behind but after all the snow, the wettest Spring and now the driest summer on record our builders have done an amazing job to be this far advanced in these unusual conditions. 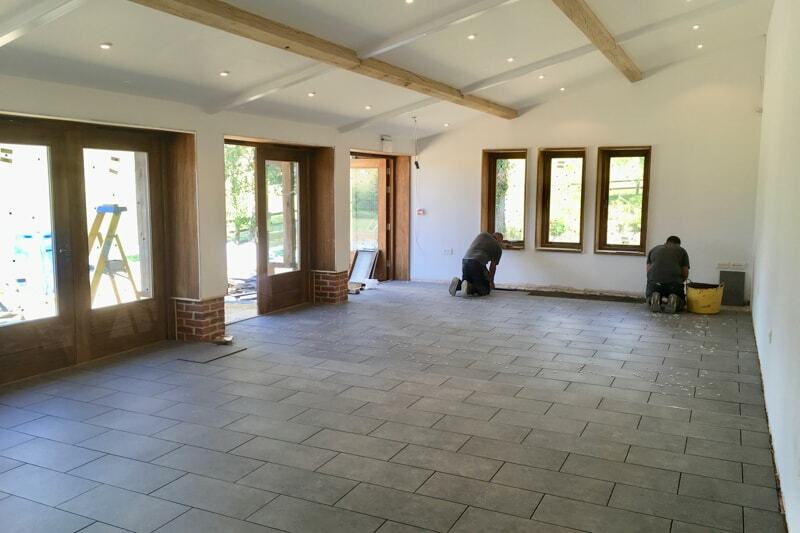 The Byre is looking beautiful with the weather boarding, large glass doors and windows now fitted and complimenting the reclaimed oak timbers that frame the view across the fields and pond. 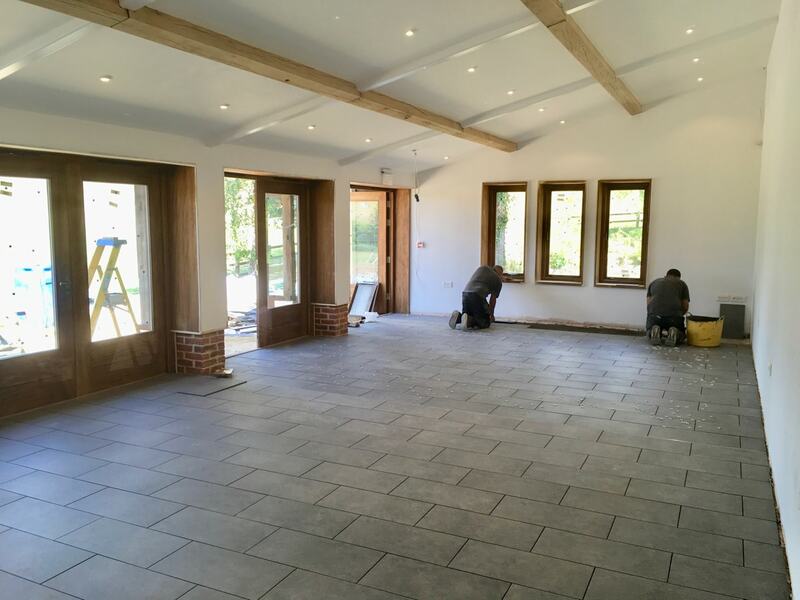 The lighting and underfloor heating has all been tested which just leaves some decorating to be done and the terrace and lawn to be laid outside. 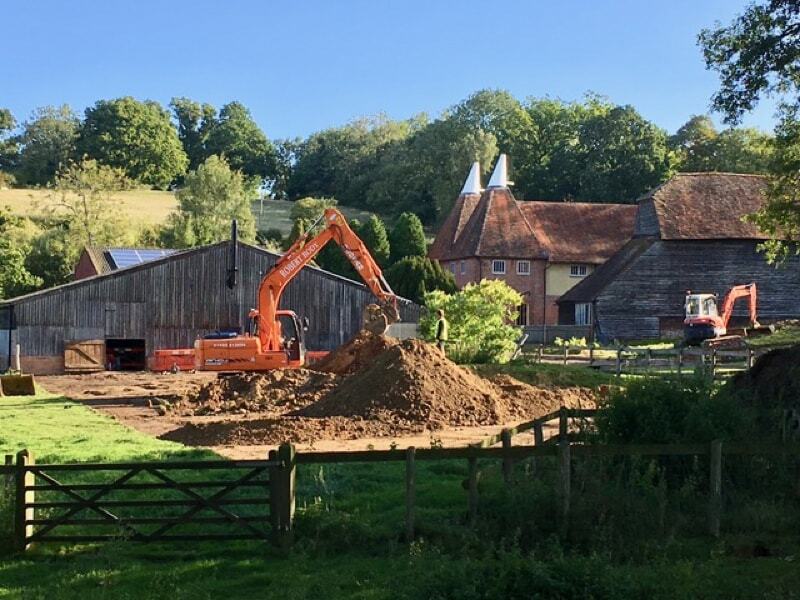 Across the yard, under The Oak Barn, the wet and very heavy Kent clay dried and set like concrete in the soaring July temperatures making the excavation for the foundations hard going. 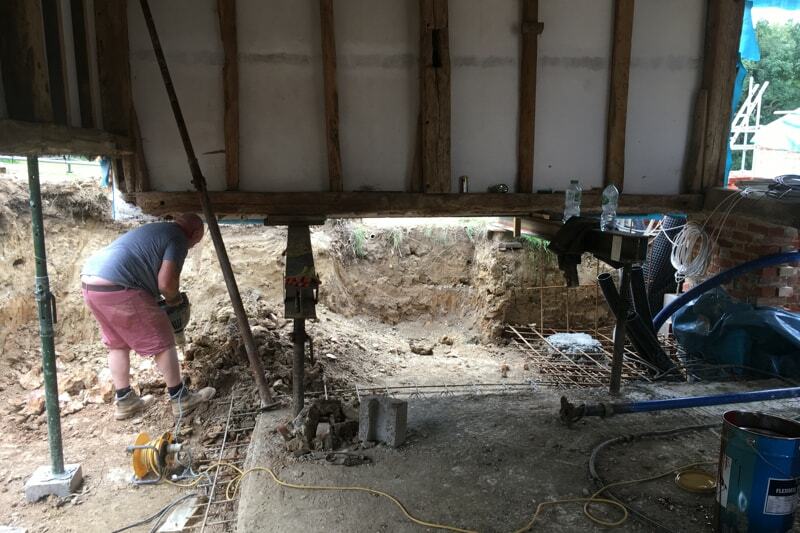 Our mini digger, the largest we can get beneath the propped oak frame, struggled to break through this ground so large sections had to be dug by hand. 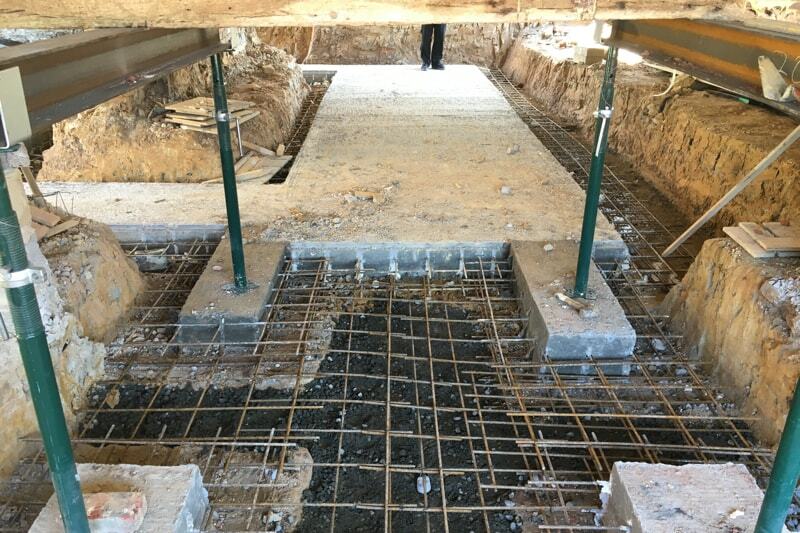 It has been a relief to pour the final section of concrete this week and end this phase of work. 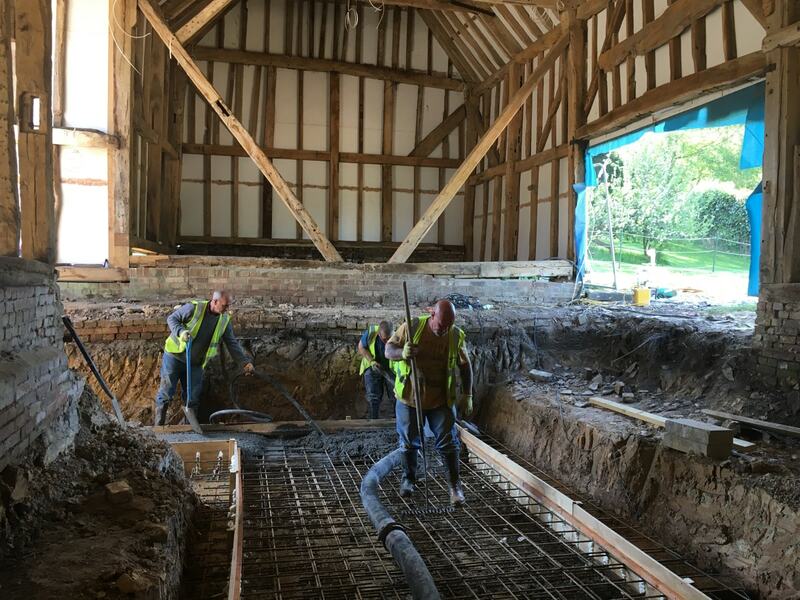 Progress should gather pace now with the underfloor heating, wood burner and air cooling systems that will make the barn so comfortable in all weathers. 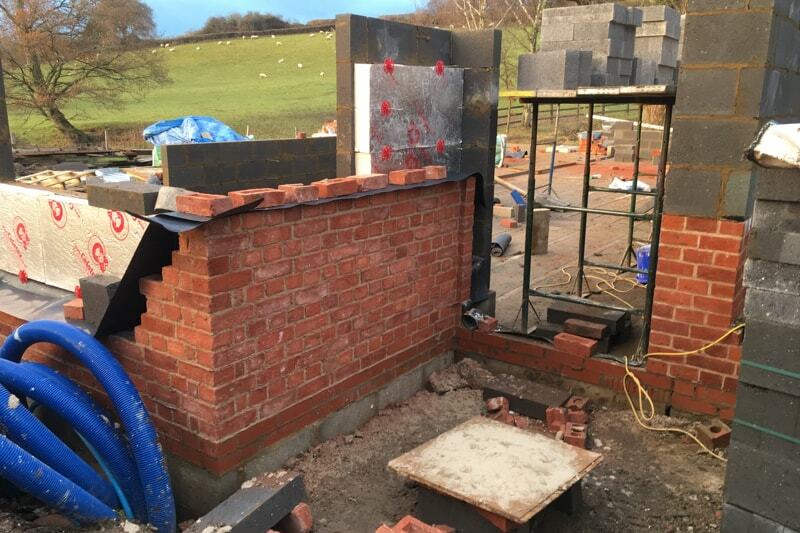 Moving quickly behind the foundation work the bricklayers have been working with great skill and care. 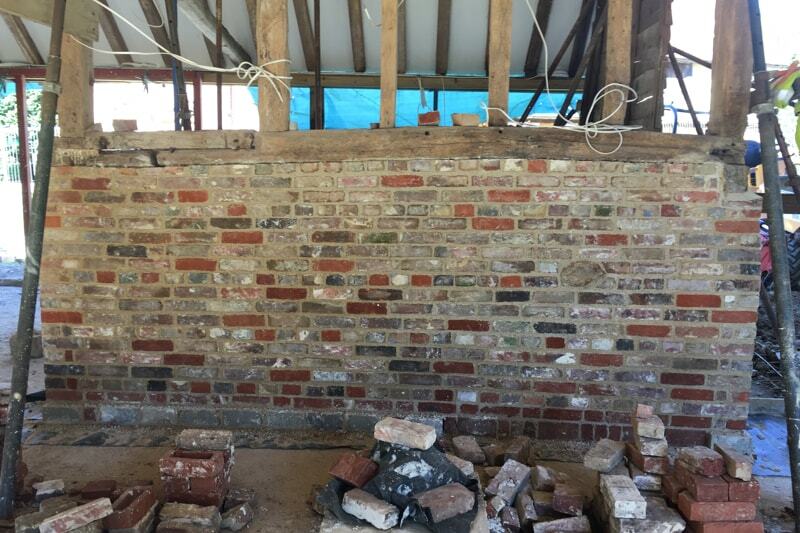 The original bricks have been lovingly cleaned for rebuilding the plinth walls on which the barn sits. 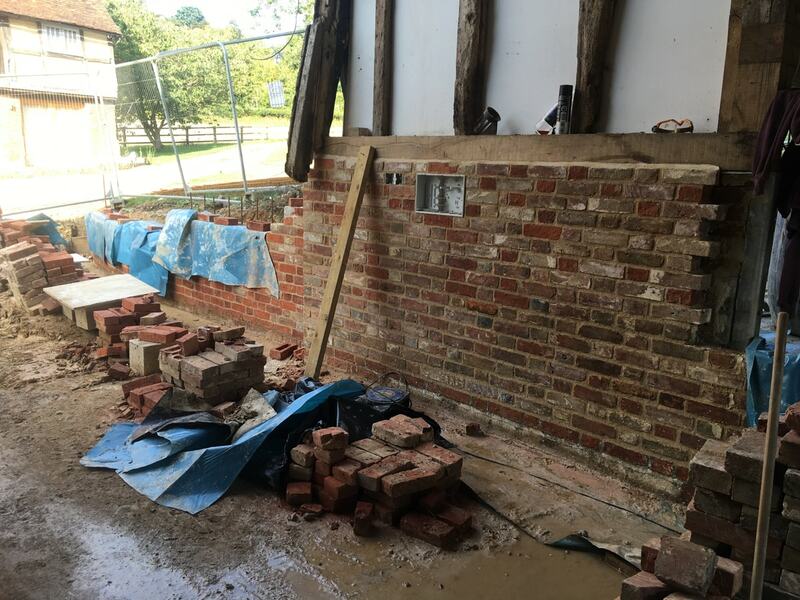 Despite essential repairs to the oak frame the crooked character has been retained and our brick courses follow the original lines of the building; a beautiful finish produced by fine craftsmanship. 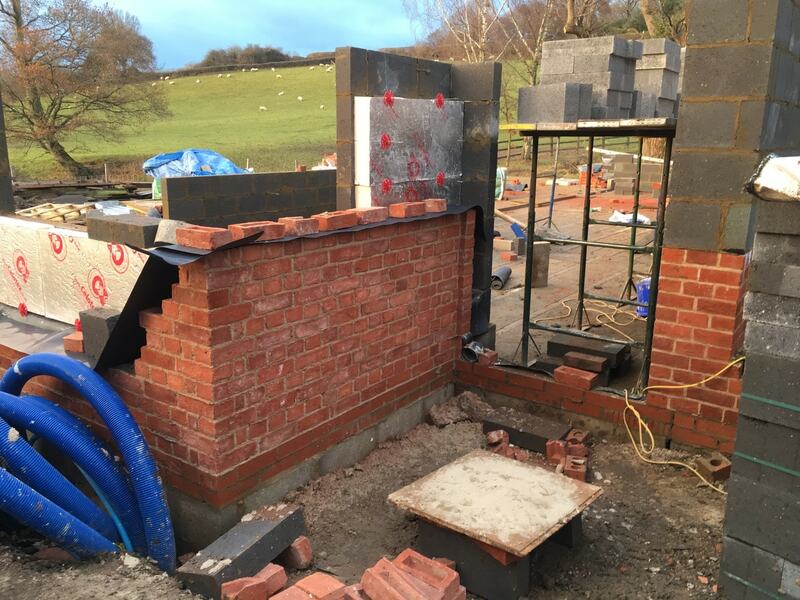 We are making headway with the new annex for the kitchens and cloakrooms and it will soon be possible for the aesthetic elements of the project, including resurfacing the drives and farmyard and new planting, to be underway. 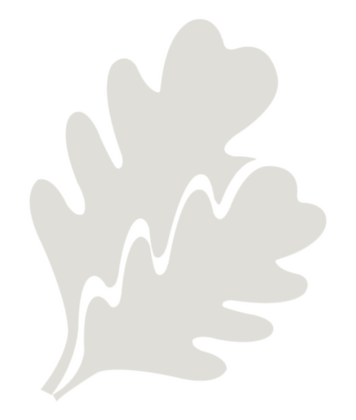 It will be wonderful to reinstate the lawns and gardens around the buildings as we approach Autumn and prepare to open the farm gate for you to enjoy. 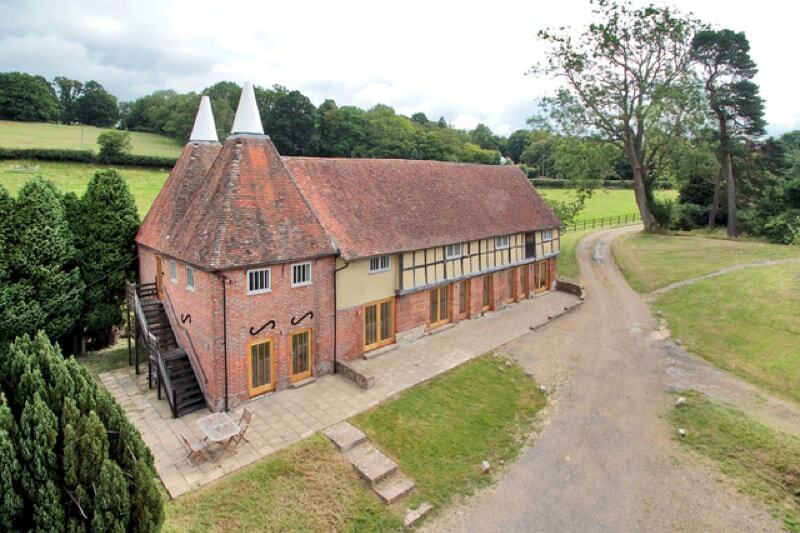 In true English style we open with comment on the weather! 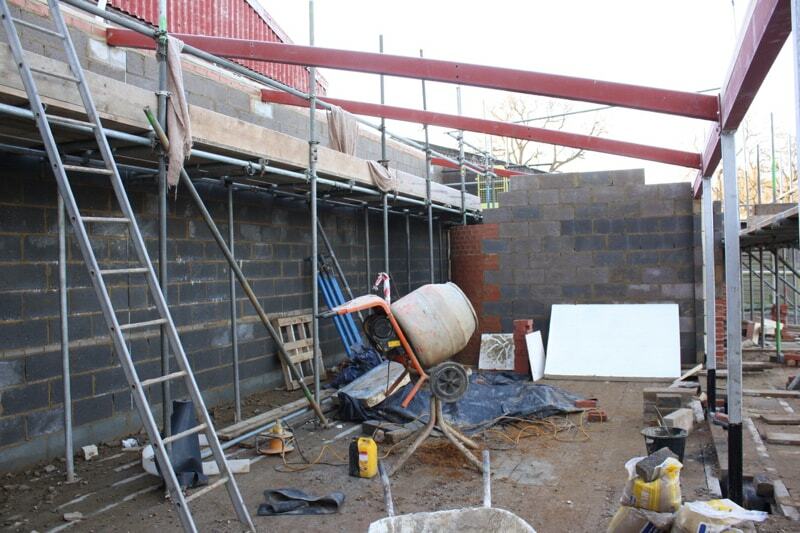 It is such a critical aspect of the build at the moment and March has brought a fair share of inclement conditions. 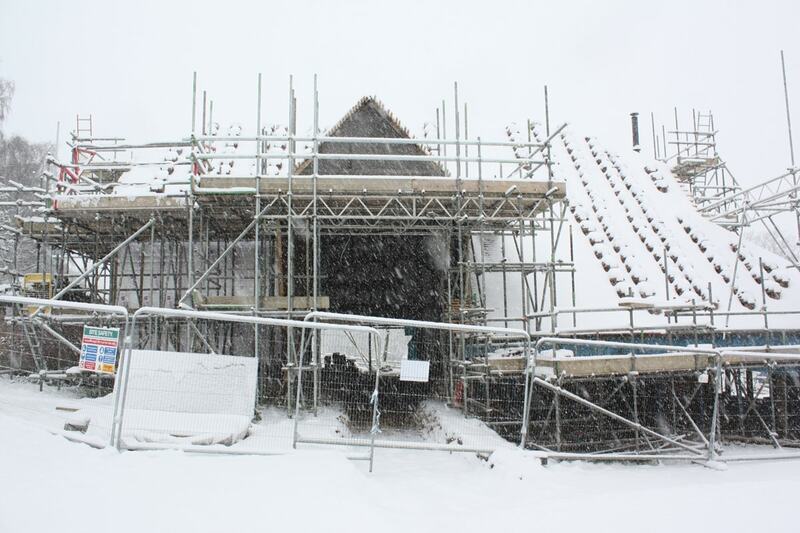 The snow began on the second day the roofing team were replacing the Kent peg tiles so that put a rather abrupt end to progress for the rest of the week. 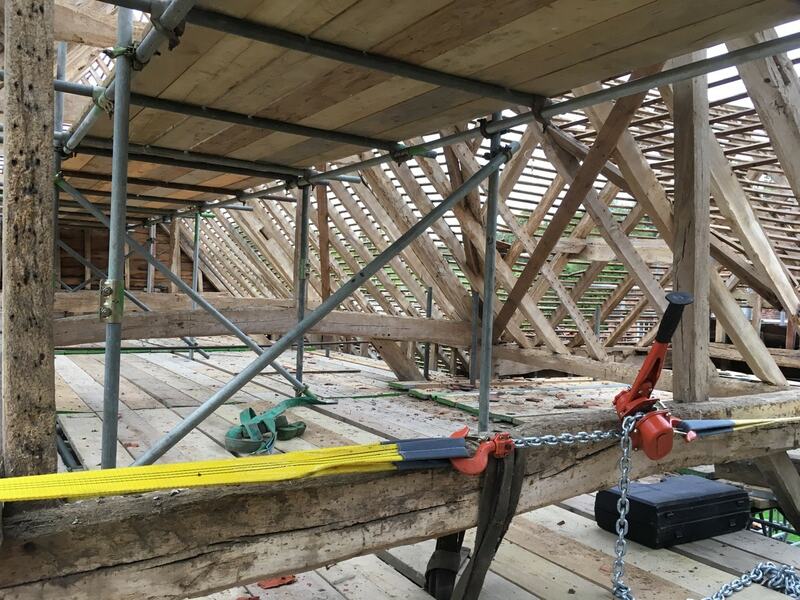 Our joiners did manage to navigate the roads and made some headway fitting oak purlins in The Byre’s roof but the only other activity at the farm was extreme toboganning in the fields. 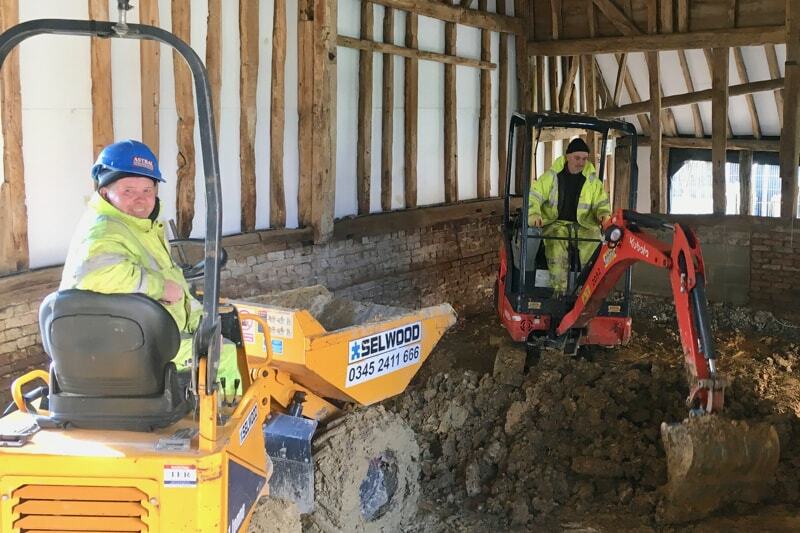 The big melt only worsened the mud but it did allow resumption of work to both barns. 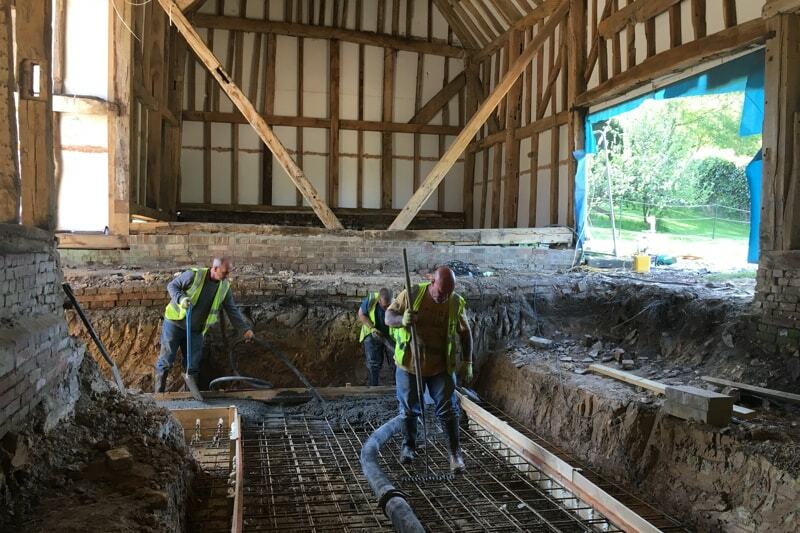 In The Oak Barn, excavations have advanced well to drop floor levels in preparation for pouring the foundation slab. 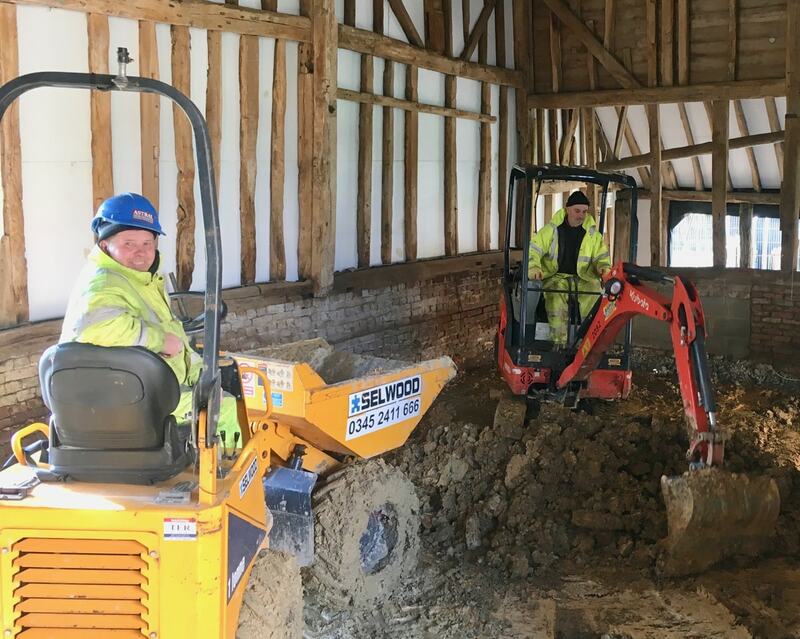 We now have an idea of the scale of the barn which swallows up a mini digger and dumper truck with ease! 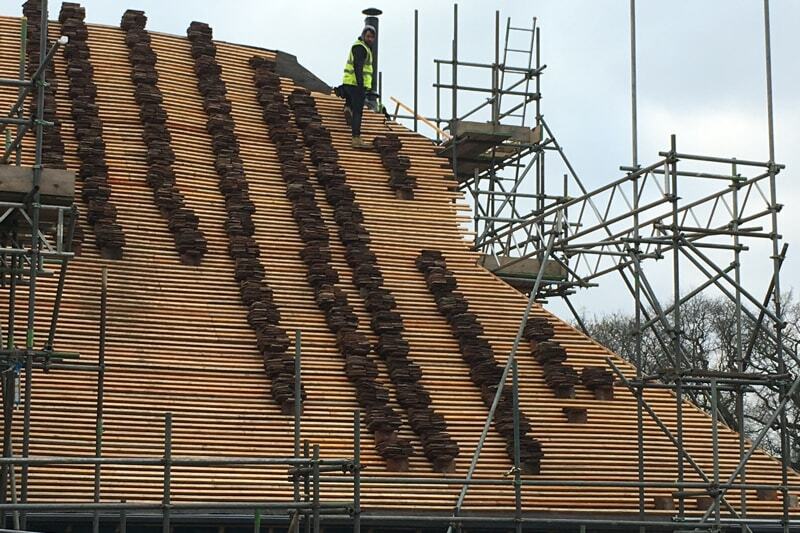 Up above, tiling of the ‘cat slide’ roof is nearly complete and once again looks spectacular. 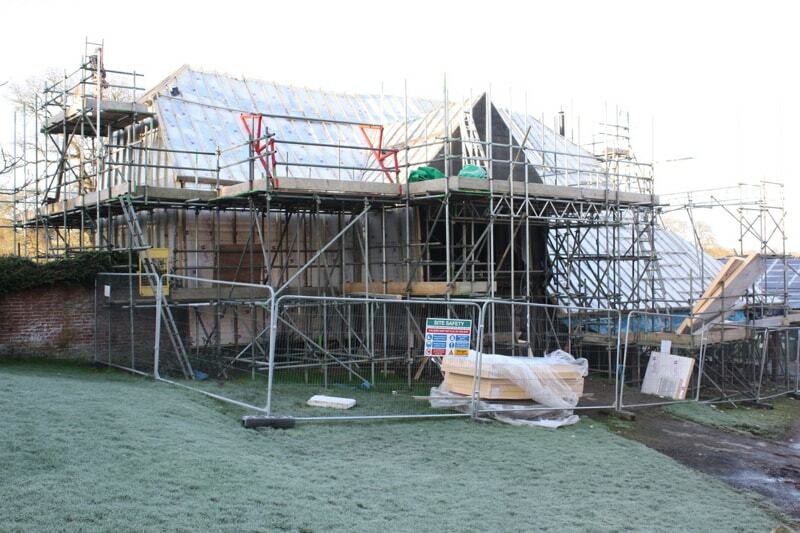 Meanwhile, The Byre’s roof is taking shape with the deck boards and insulation now underway. 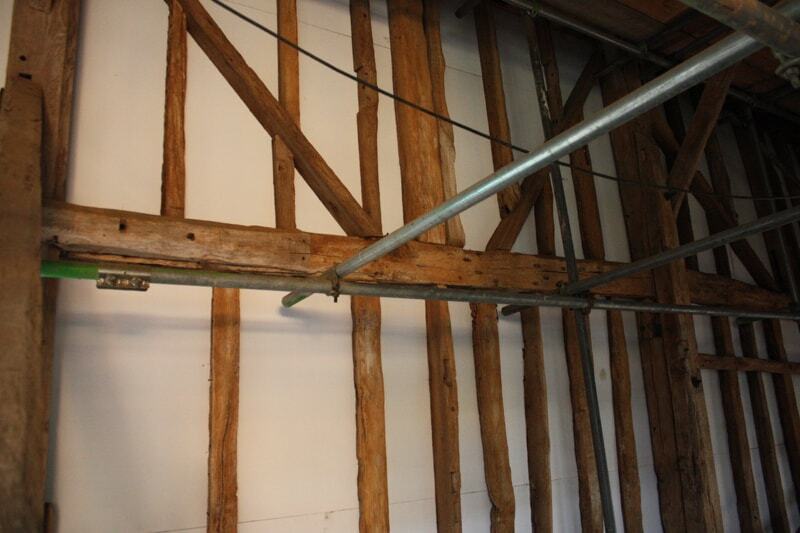 It will not be long before both barns have watertight roofs which is a significant milestone after decades of neglect. 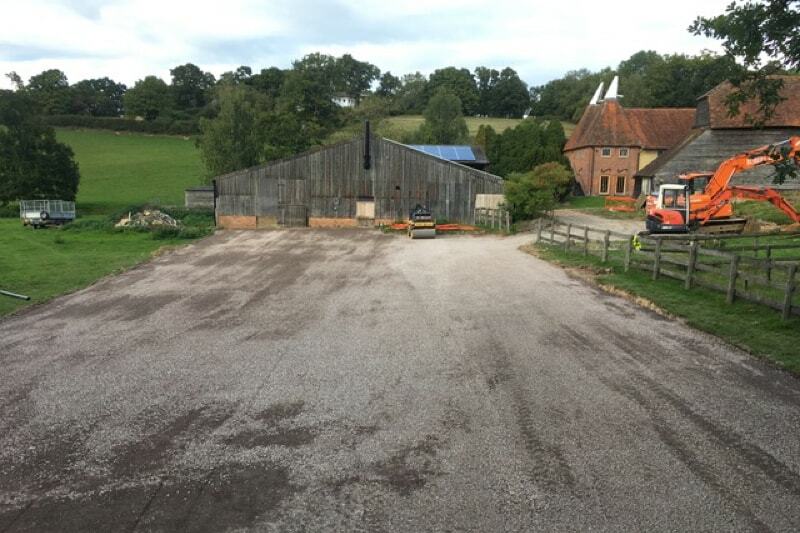 Wealden Country Landcraft Ltd has created planting plans for our new garden areas around the barns and the pond. 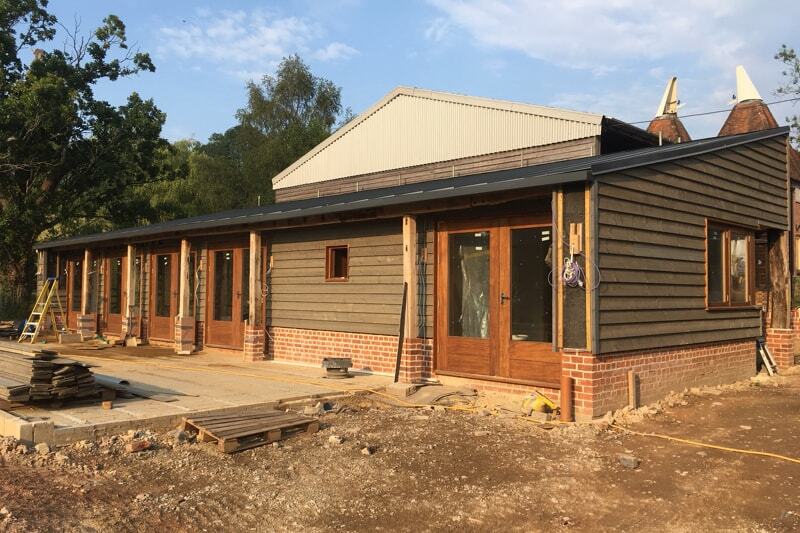 The new borders will be stocked with tall waving grasses whilst the pond will have a range of native marginal water species that can mature through the summer; it is a wonderful, positive step forward and we look forward to seeing this part of the venue realise completion in the coming months. 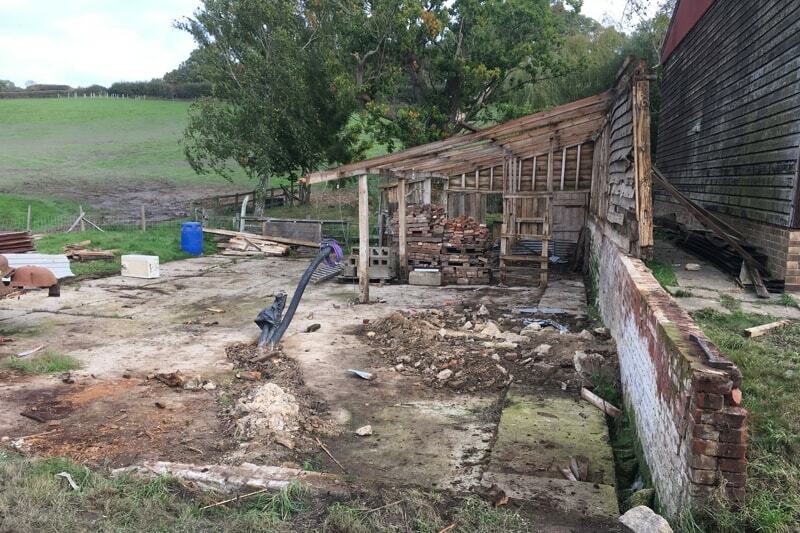 The dry autumn weather gave way to some persistent rain and high winds in December but despite these difficult conditions and the ensuing mud our building contractors, Astral Ltd, have completed the frame repairs of The Oak Barn. 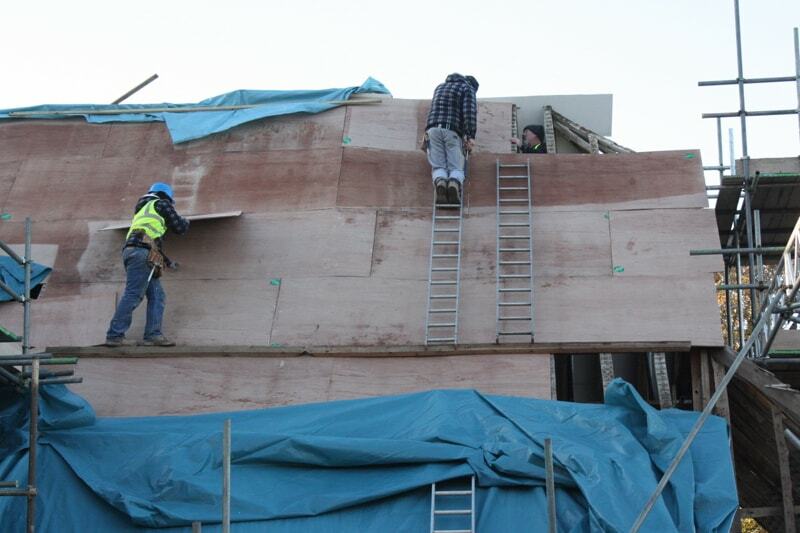 It has now been sheathed in plywood, two layers of high density cement board for sound proofing and a thick layer of thermal insulation. 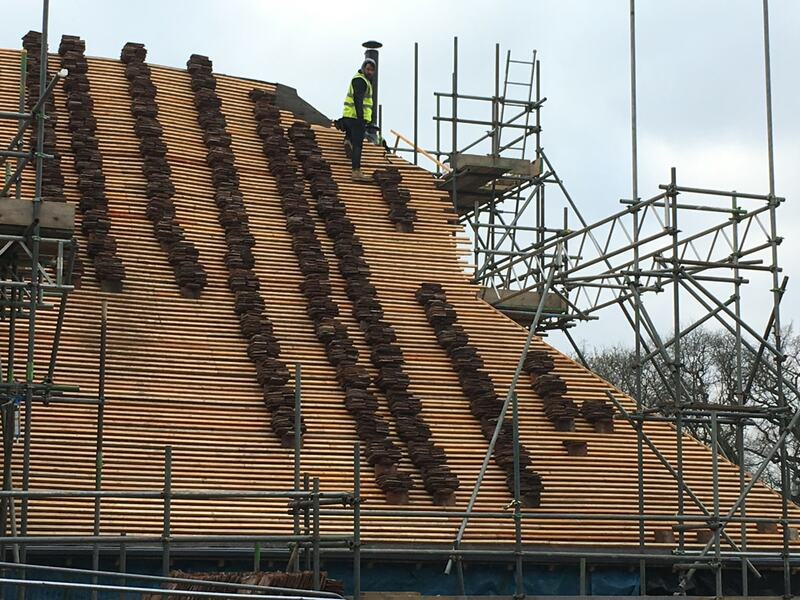 An overnight snowfall was not a very auspicious start for the roofing team yesterday but felt and battens have been laid on the ‘cat-slide’ in preparation for replacement of the Kent peg tiles. 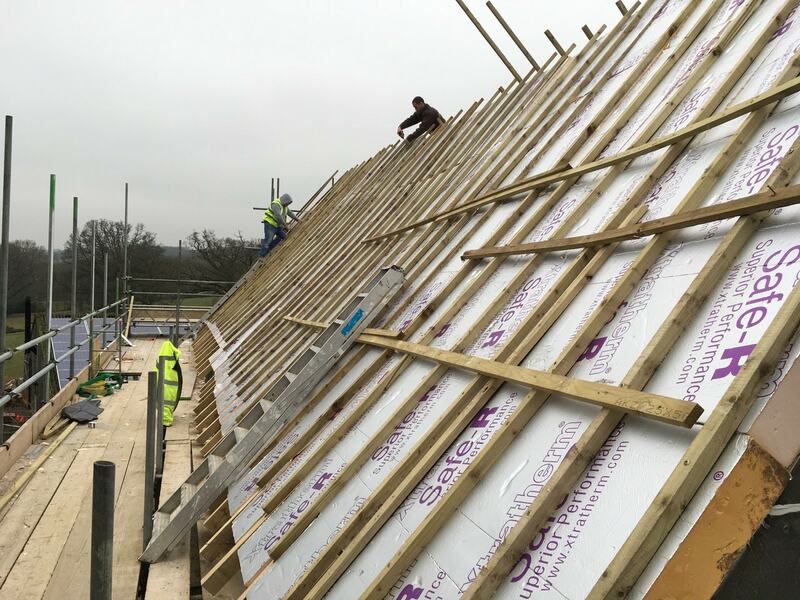 After two months of hard work, The Oak Barn has a roof system that is close to being weather proof. 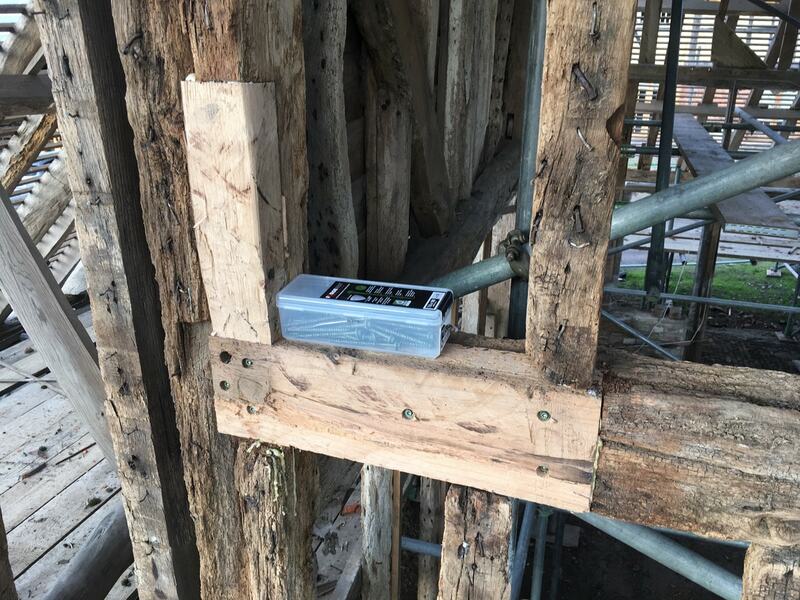 Internally, the first fix electrics, data and AV cables have been installed, all neatly hidden in the roof layers to keep the historic structure free of surface mounted technology. 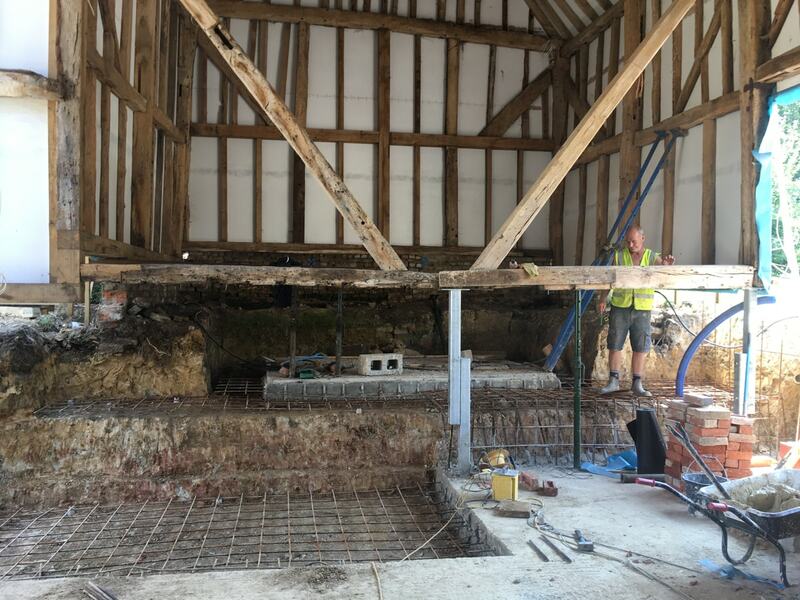 We are now in a position to remove the internal scaffolding and begin excavations within the barn for foundations, something this barn has never had! 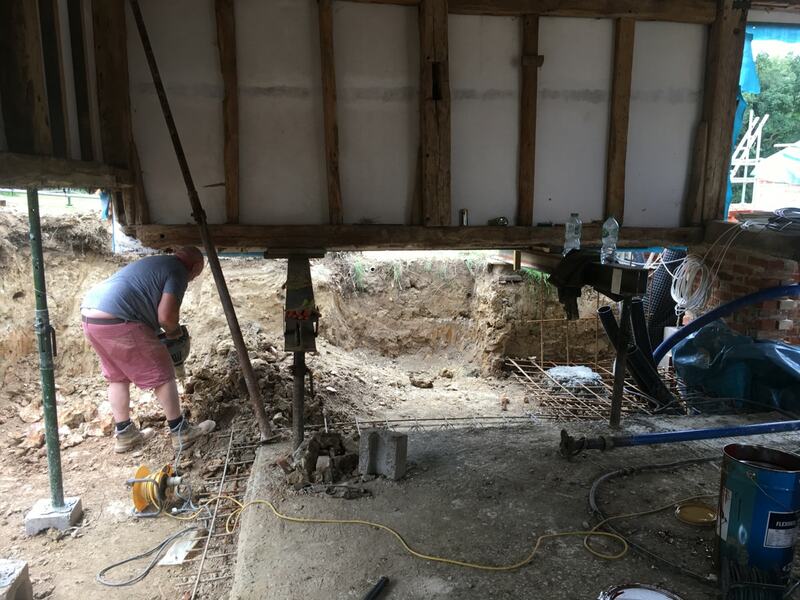 It will be a delicate process of propping the entire structure while we remove the supporting walls, dig out footings and then pour in a concrete slab. 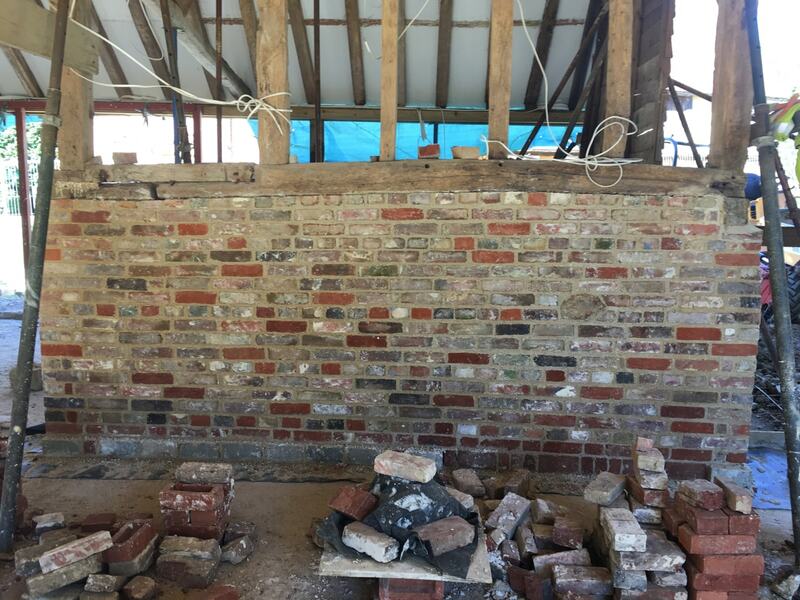 Meanwhile, across the yard, The Byre has risen from the mud with new walls built with our carefully selected handmade bricks and laid with lime mortar to replicate the previous animal shelter. 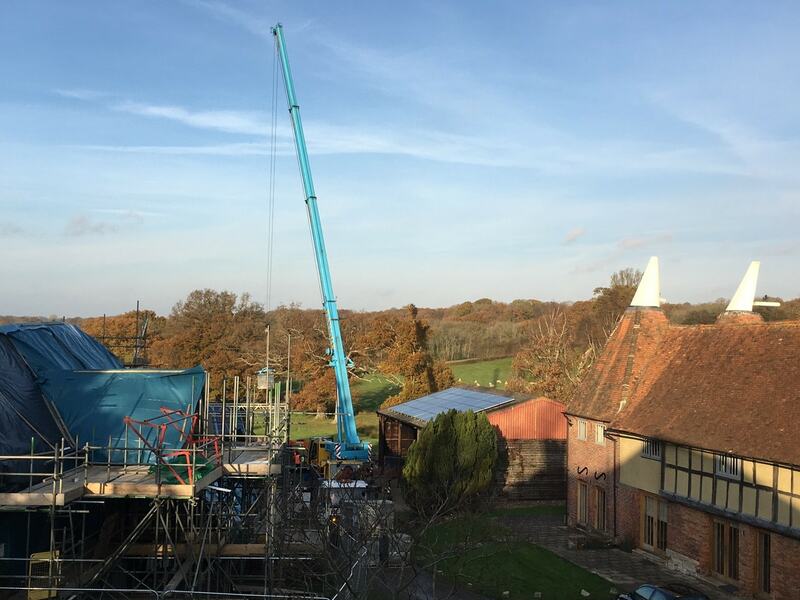 The beam and block floor has been craned into position and the steel frame for the roof is now in situ and ready for the new joinery. 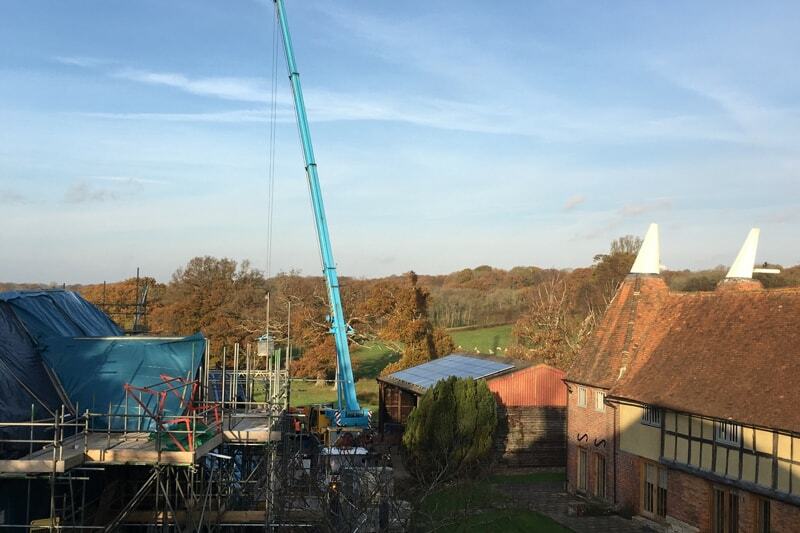 The original oak posts are also being cleaned for replacement on the west façade, a key feature of this glass wall that will give views across the farmland. 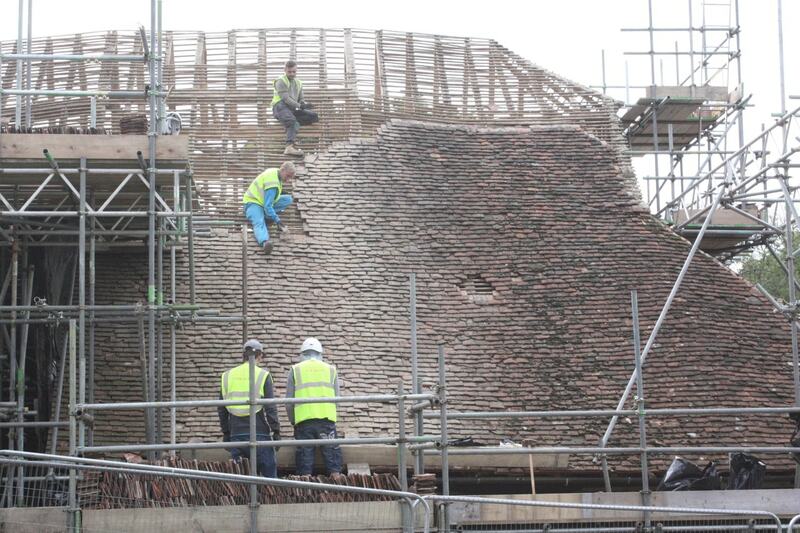 Our work has progressed at quite a pace in this first month, aided by the dry and mostly sunny autumn weather. 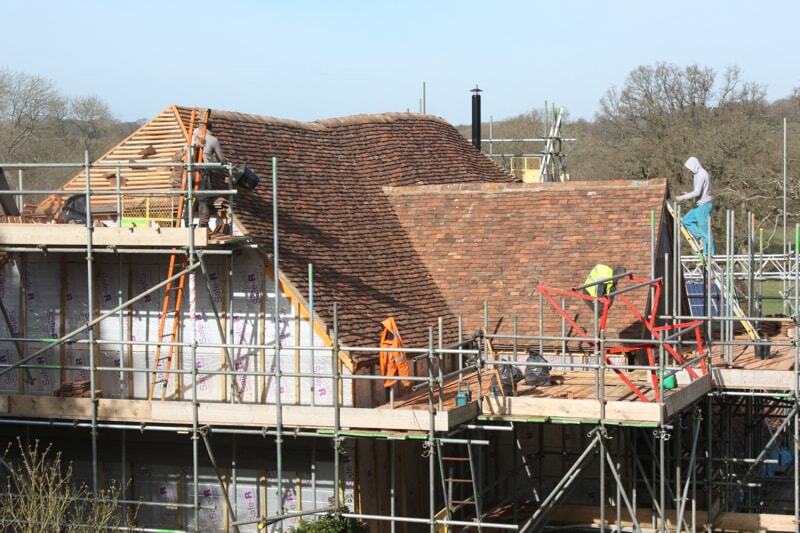 Completion of the scaffolding in and around The Oak Barn has allowed the 16,000 or so tiles to be stripped from the roof and securely stored ready for sorting and rehanging next year. 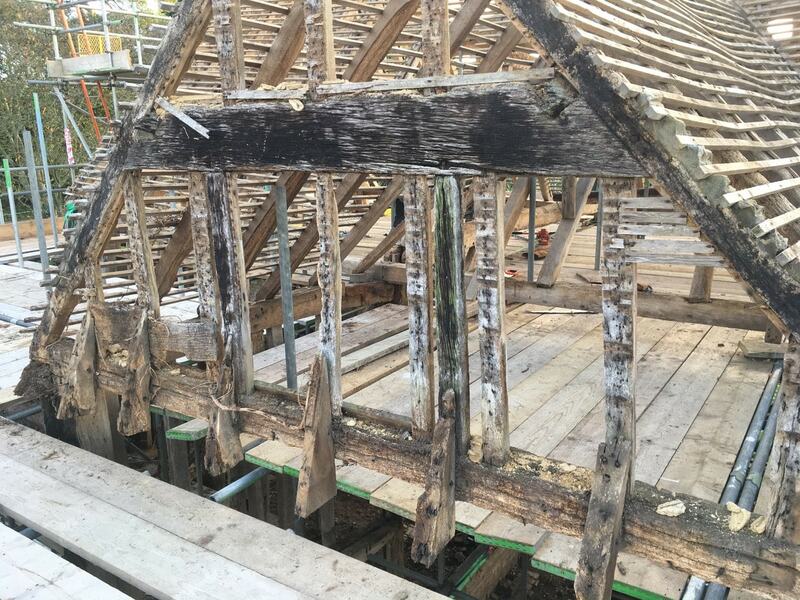 The weather boarding has also been removed so we now have a bare oak frame allowing the full extent of the defects to be inspected. 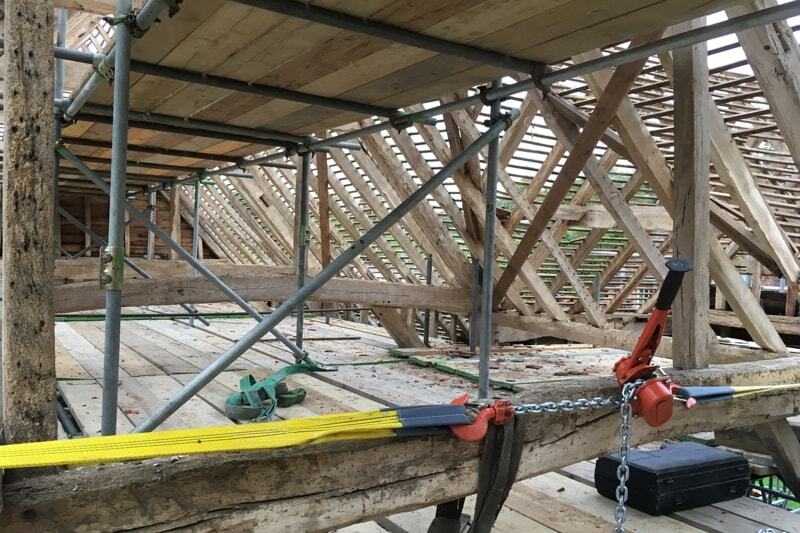 Freshly cut reclaimed oak is now being spliced in to replace rotten timber, and loose joints are being stabilised with a special resin. 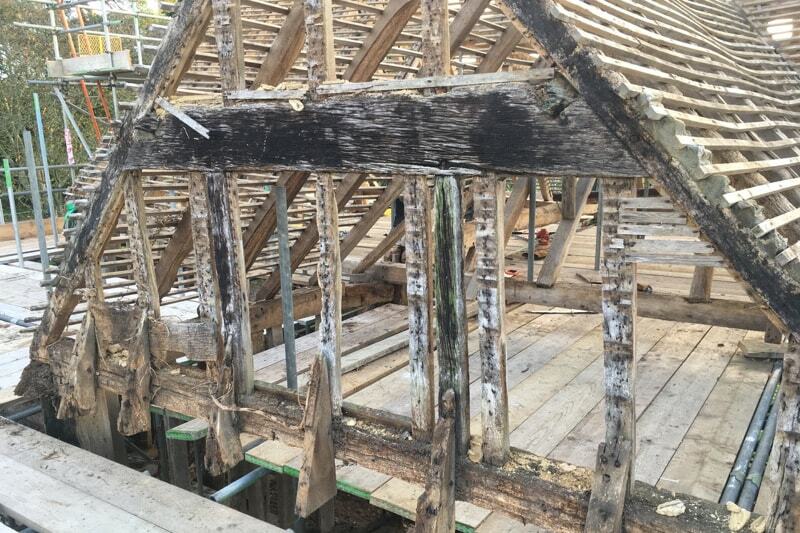 One of the main trusses has been jacked up and pulled in so this now sits back where it belongs on top of it’s jowl post. 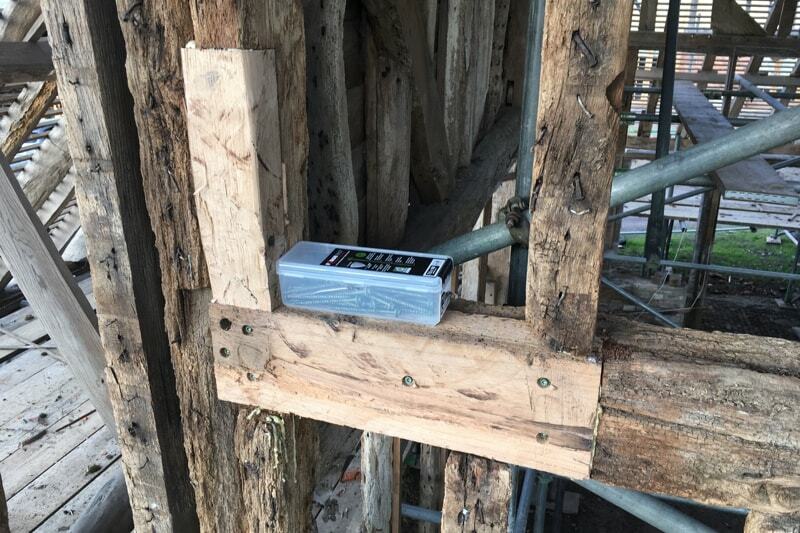 It has been a delicate process that could only proceed once our six bat boxes had been strategically placed around the farm with the work overseen by our bat environmentalist. 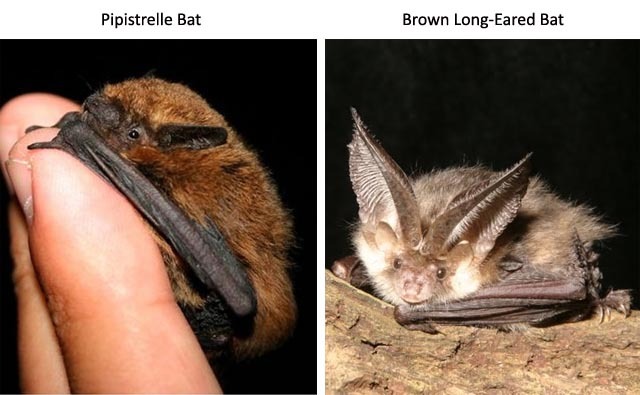 We have only displaced three Pipistrelle’s and one Long Eared Brown bat but I am sure they will be pleased with their new homes by the recently dredged pond. 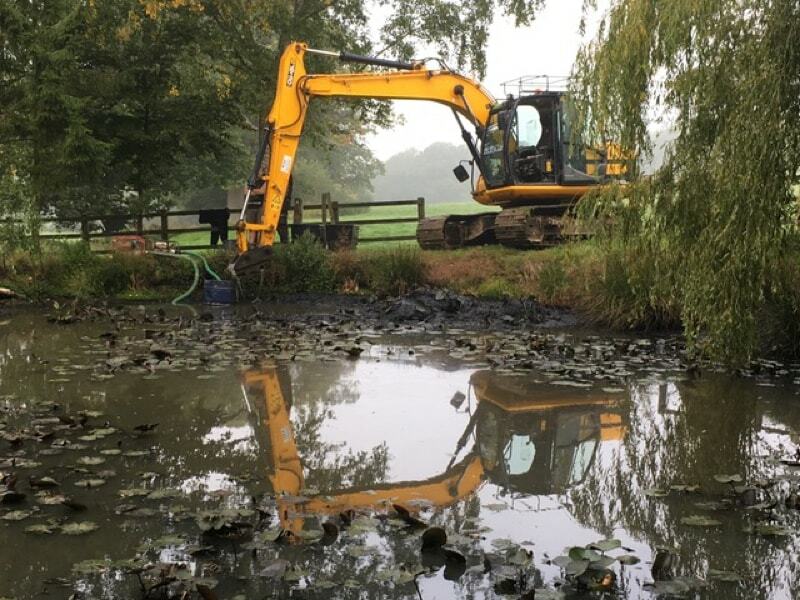 On that note, we had a very dirty and smelly afternoon washing the thick black slime off the water lily root bowls; these have now been replanted in the pond and the water level is rising well thanks to a day of rain last week. 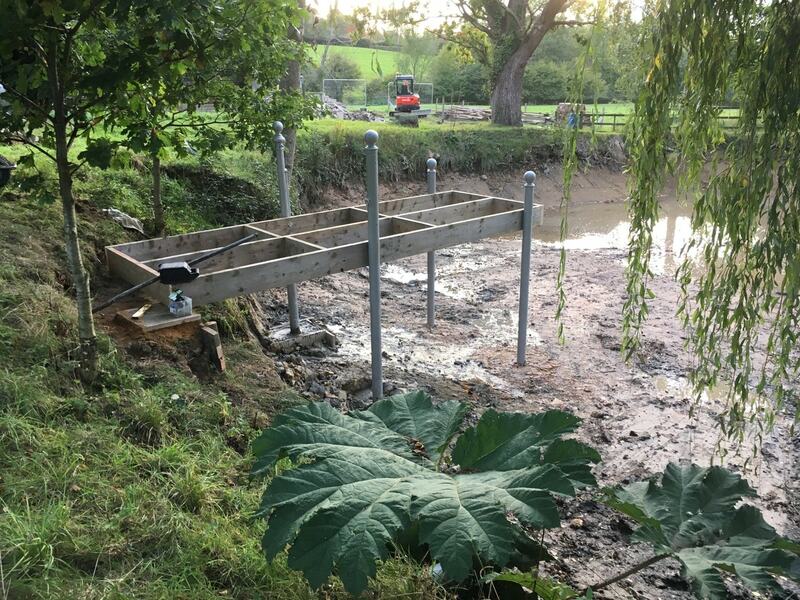 Our old stable stall posts have been sand blasted, painted and now provide the support for our new pontoon.  They still have their ‘Cottam and Co.’ name badge from C1850, notable as in use by ‘Nobility, Gentry, Hunting Establishments and Her Majesty’s Stables Aldershot and Balmoral’. 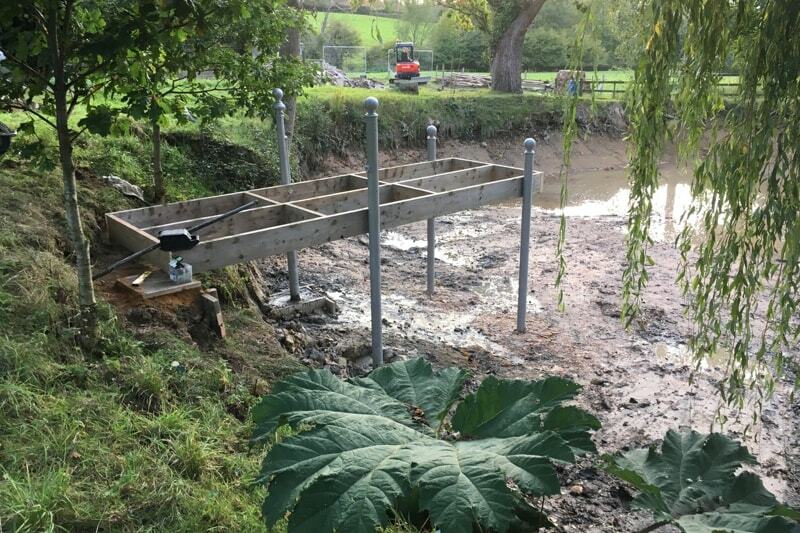 It is wonderful to recycle a piece of Frame Farm history and, together with oak from a dead tree we felled and planked last year, create a very smart pontoon giving stunning views down the valley. 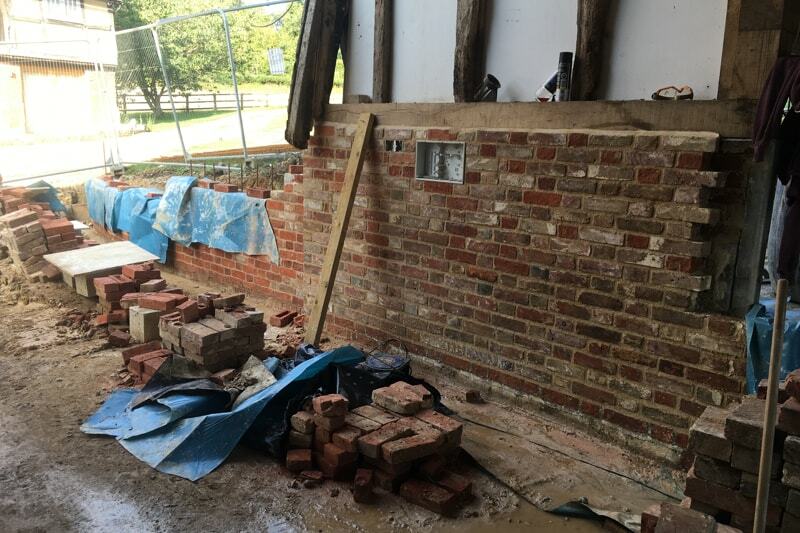 The Byre has now been completely dismantled and the oak and bricks stored for re-use in the new building. 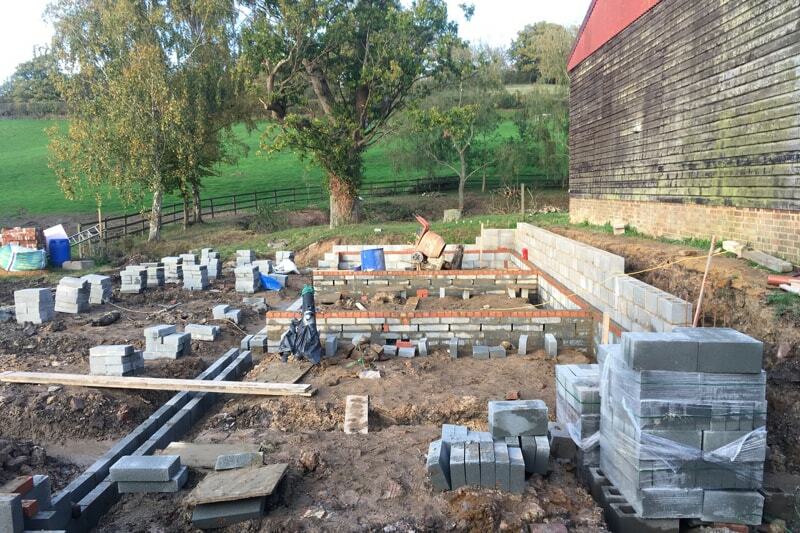 The footings have been dug, concrete poured and the walls are now rising above this muddy corner of the sheep field. 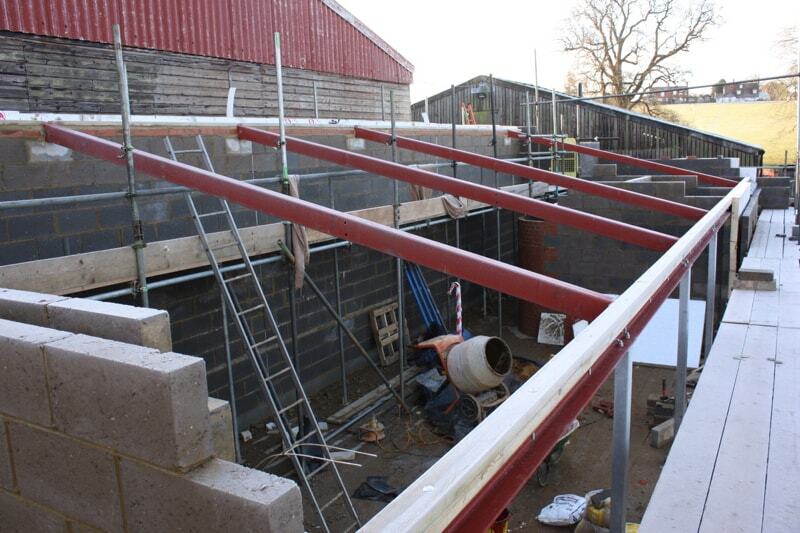 The block and beam floors will be delivered next week so it is exciting to see rapid progress here.  All in all, a very productive month! 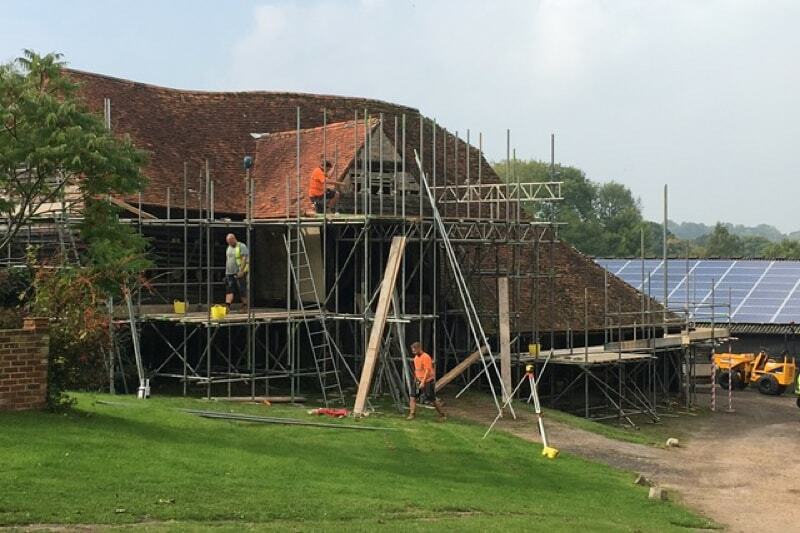 On 11th September 2017 the second phase of work at Frame Farm began to convert our two Grade II listed barns into an events venue. 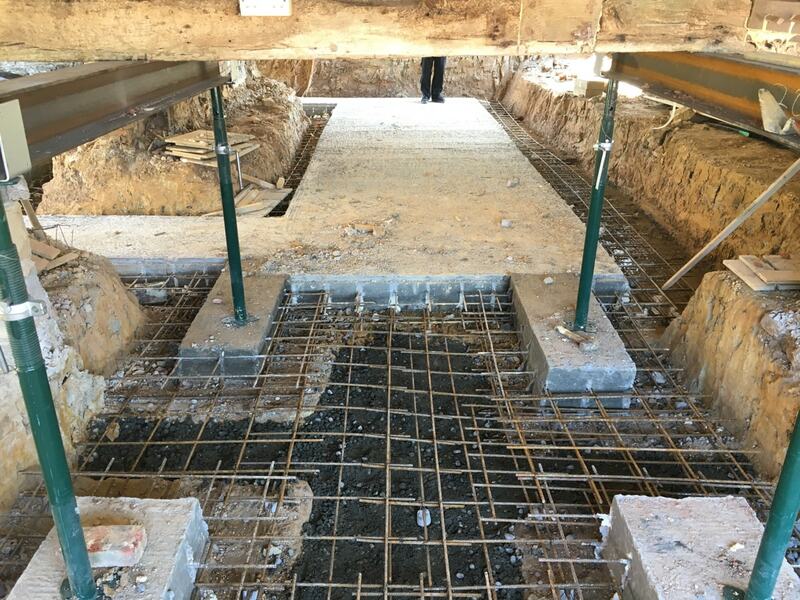 The first digger bucket broke ground to mark the official start of the 45 week renovation. 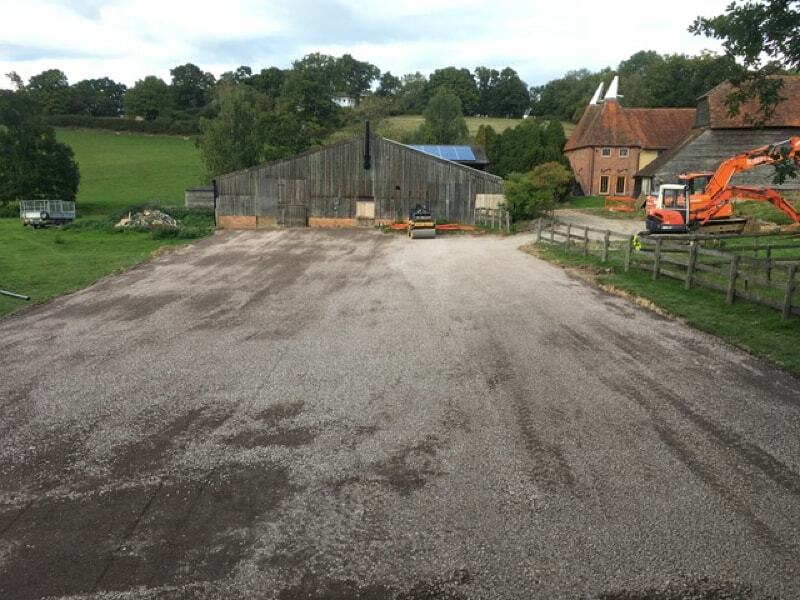 320 tonnes of Kent clay have been removed from the yard and aggregate laid to form the base layer of our overflow car park. 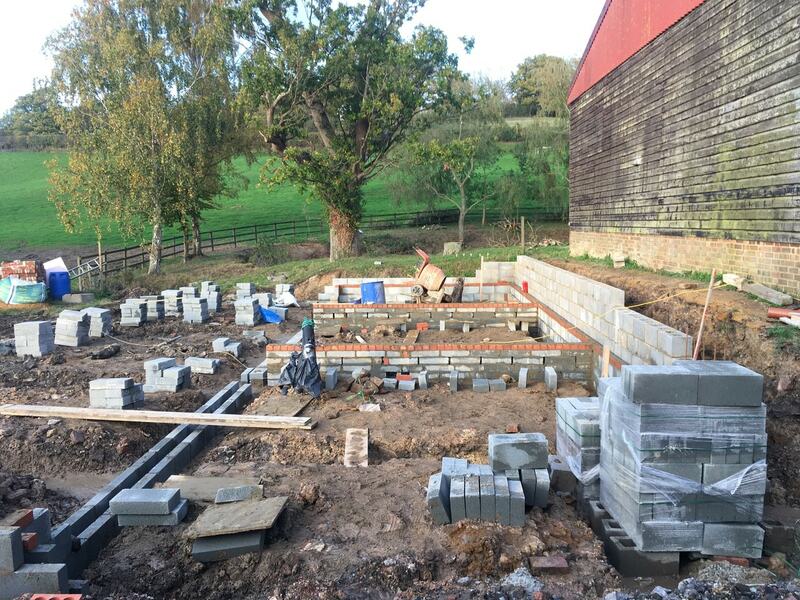 This hard standing will be used by our building contractor during the work but by mid 2018 it will be seeded with grass for a green, hard surface we can use throughout the year. 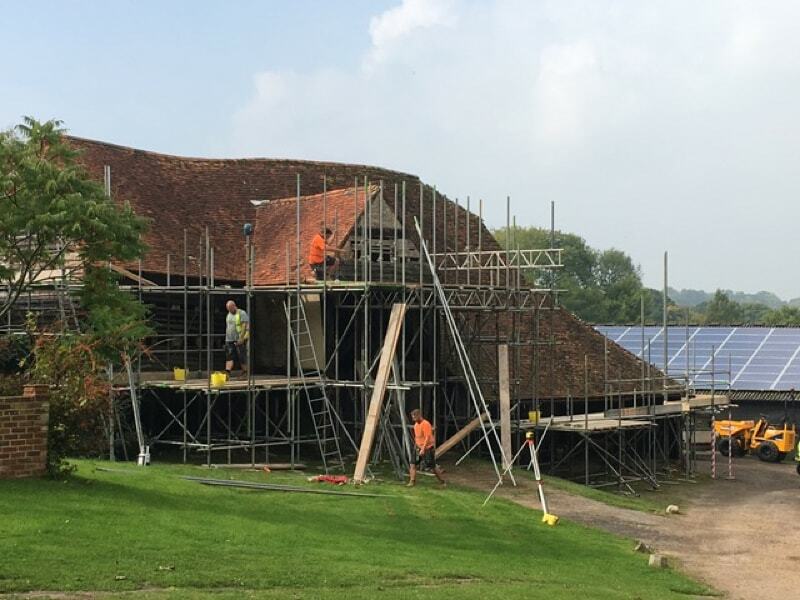 Work has also started on The Oak Barn, with scaffolding nearly complete to stabilise the oak frame and give access for stripping the weather boarding and peg tiles. 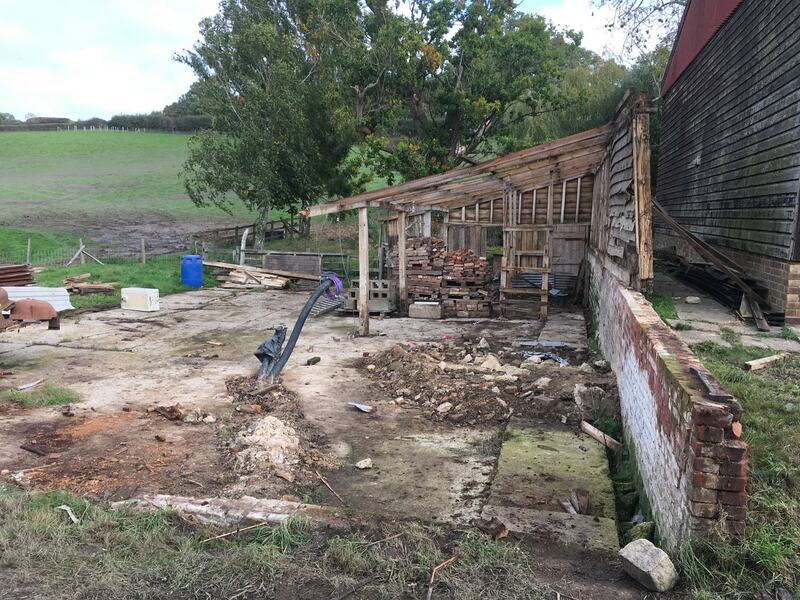 The frame is extremely fragile so we look forward to being able to remove the acrow props and ratchet straps that have held the barn together for at least ten years. 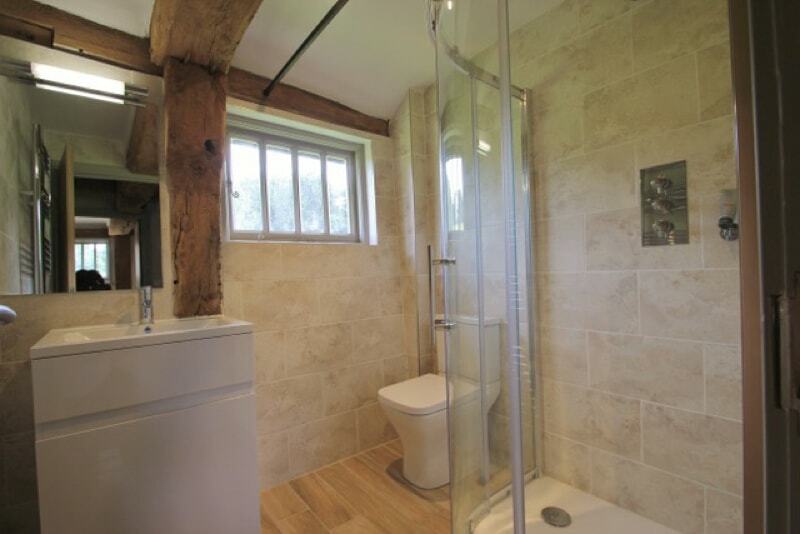 It is the start of a new era for this beautiful 300 year old, Listed barn and a relief for us after two years working with designers, conservationists and planners to get this project off the ground. 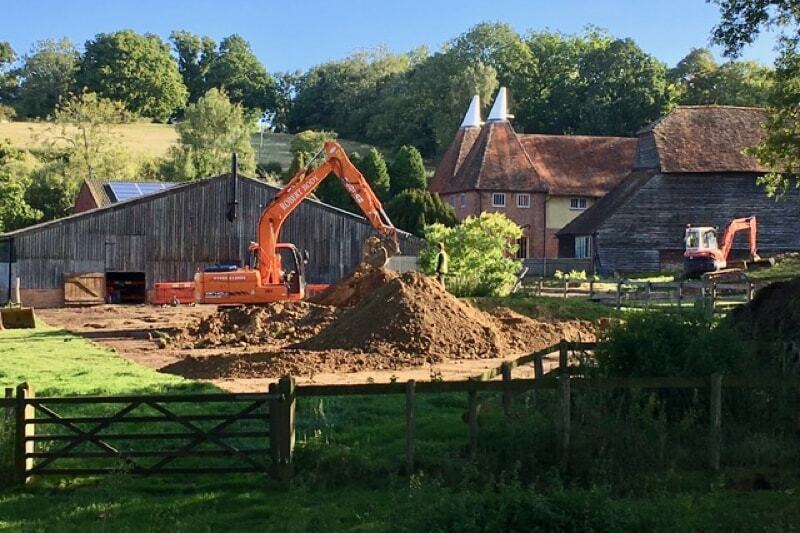 Today we also began dredging the pond beside The Byre barn. 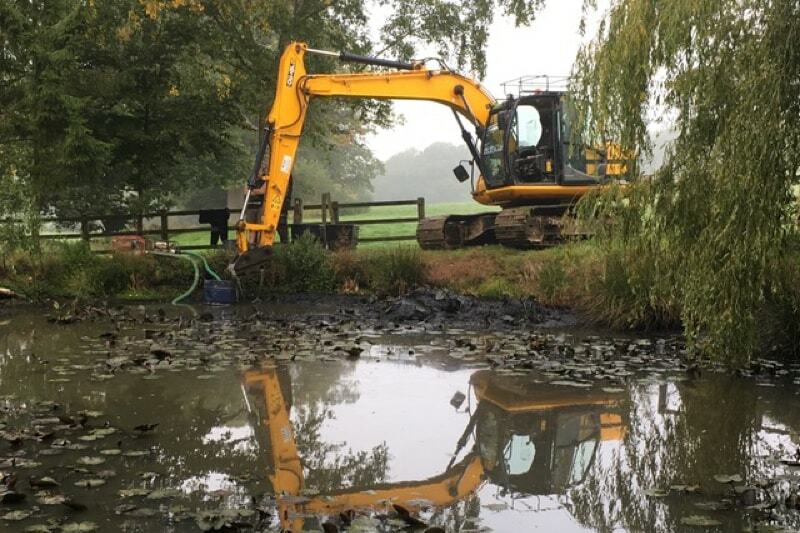 Years of silt and leaf material have turned this into a pit of stagnant black sludge so it is the first stage in restoring this back to a wildlife haven and tranquil spot to sit, wander or take photographs. 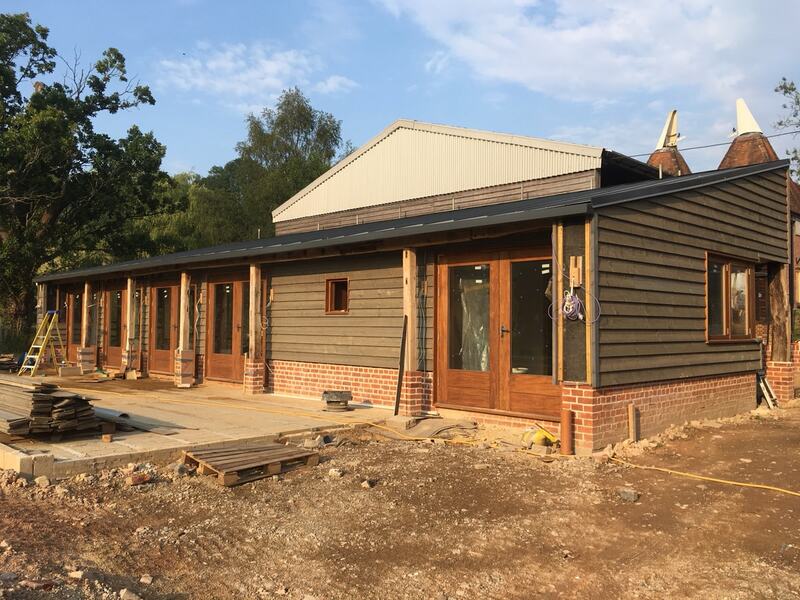  Over the next 45 weeks our photo record and blog will follow progress of the work so you can enjoy the renovation of the two barns and conversion from dereliction to stunning events venue.  You can follow us here on our Website and on our Facebook page. Our first phase of work involved the refurbishment of Weaver’s Cottages which date from 1607. 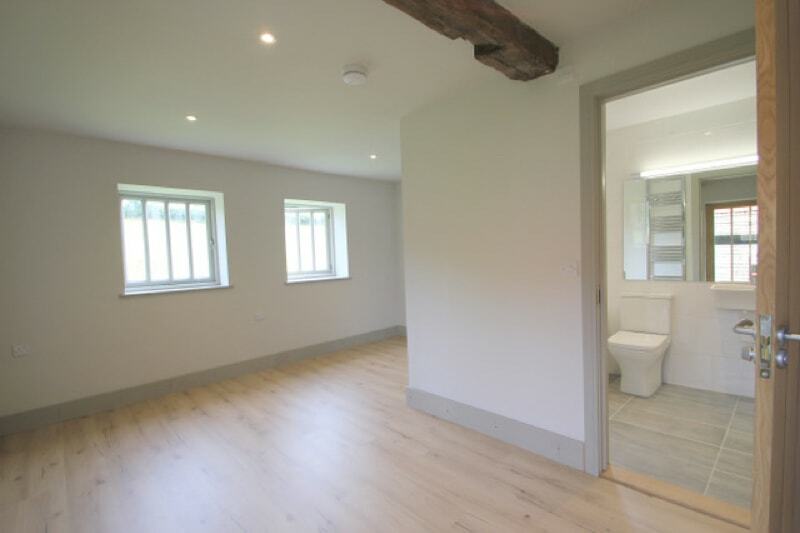 Lying opposite the The Oak Barn this stunning building now provides plush accommodation for 18 people within four cottages and a ground floor flat. 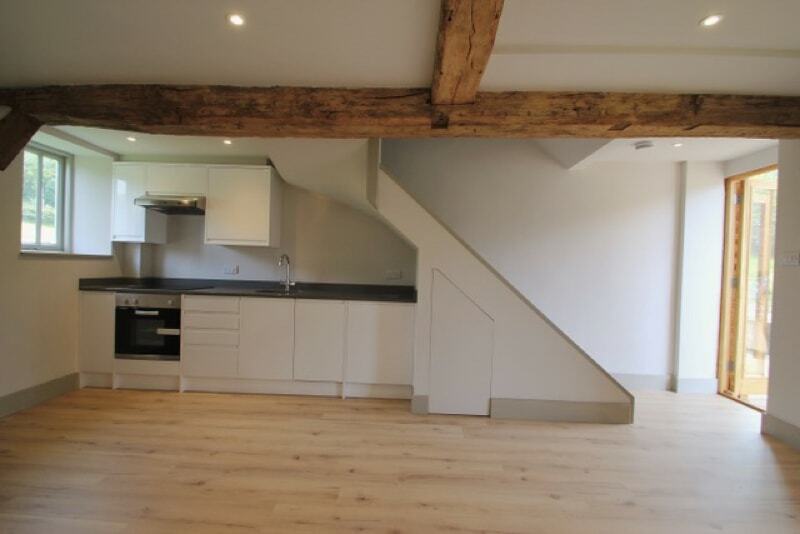 The massive oak beams and other historic features are visually dominant but the latest LED lighting and low energy appliances, solar photovoltaic cells and biomass boiler give this building carbon neutral status. 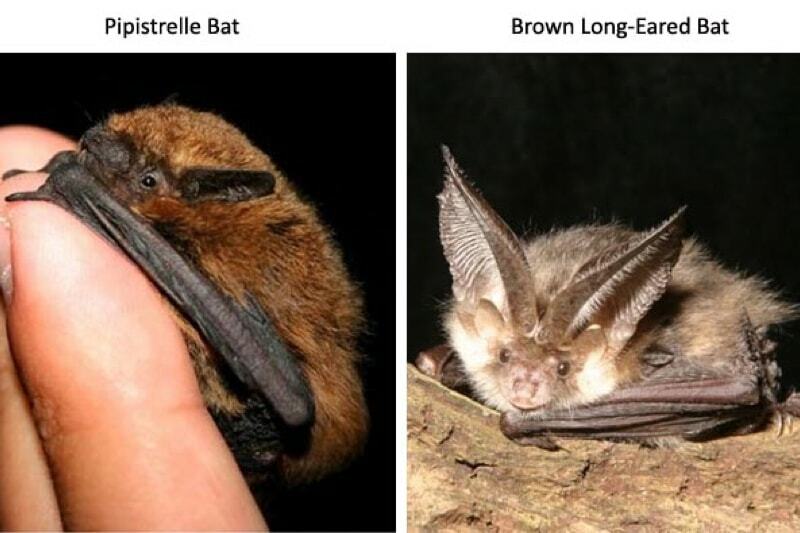 A peaceful night here is good for the planet and your wellbeing!